Richard observed that although being in the swift current of the river, one is greatly affected but sitting on the bank, we can observe the flow with detachment. Similarly if we detach ourselves from the mind and the world, we too can observe life soberly and thus gain wisdom. One day he meditated on the millions of years of history that had been enacted on the banks of Ganges. From the age of Aryans to the medieval age of Mughals and to the Gandhi and Independence movement, and to the present times, Ganges had seen it all. She was patiently flowing towards the sea, unchanged by the vicissitudes caused by time. Truth too, Richard observed was unchanging, and flowed irrespective of what happens to this world. “Early one morning, just before sunrise, as I looked downstream into the current that never slept, I considered her thousand-mile journey. The sea was calling and each drop of water patiently flowed in the current to her ultimate destination, so far away. Mother Ganges is teaching me that patience and steadfastness are required to follow my calling. While Richard learnt spiritual lessons, I studied ‘Science frontiers’ in college and was amazed to discover the glory of Mother Ganges in ways the non-seekers could also relate to. The Ganges is 2525 kilometers long. Along its course, 27 major towns dump 902 million liters of sewage into it each day. Added to this are all those human bodies consigned to this holy river. Despite this heavy burden of pollutants, the Ganges has for millennia been regarded as incorruptible. How can this be? Ganges water does not putrefy, even after long periods of storage. River water begins to putrefy when lack of oxygen promotes the growth of anaerobic bacteria, which produce the tell-tale smell of stale water. British physician, C.E. Nelson, observed that Ganga water taken from the Hooghly — one of its dirtiest mouths — by ships returning to England- remained fresh throughout the voyage. More recently, D.S. Bhargava, an Indian environmental engineer measured the Ganges’ remarkable self-cleansing properties: “Bhargava’s calculations, taken from an exhaustive three-year study of the Ganga, show that it is able to reduce BOD [biochemical oxygen demand] levels much faster than in other rivers.” Quantitatively, the Ganges seems to clean up suspended wastes 15 to 20 times faster than other rivers. These lessons or realizations of Radhanath Swami are like torch lights in the dark lives of today’s modern civilization. I am extremely grateful to Radhanath Swami for sharing this treasure of realization with us. Radhanath Swami’s description of Mother Ganges as the all accomodating and all loving mother is really inspiring. As long as there is Mother Ganges flowing on this land and as long as there are noble and pure monks like Radhanatha Swami in this world there is hope for humanity. Simply this part of the Journey Home book is so capturing…what about the entire book…..must read it….!!!! I have seen the Ganga river so many times but never had any realizations which Radhanath Swami derived from his deep observations. 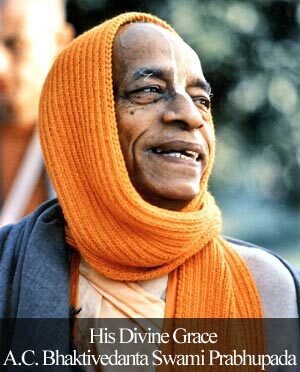 Lesson for me—an advanced spiritualist can understand God’s mercy and creations better than I.
HH Radhanath Swami Maharaj ki Jai. I simply pray to God to give me the strength to imbibe in my life the teachings of Maharaj from his realizations. Radhanath Swami is such an amazing person!!! I never thought in the way Radhanath swami observes mother Ganges… I have seen Mother Ganges many a times before…Now I have a new vision to see towards her….a lovely mother as Radhanath Swami says!!! Good to leaern that nature is one of the best teacher, and teaching us all the time but we have to open and ready to tune in. this article is so enlightening…mother ganga provides shelter and useful realizations to sincere seekers of spiritual path. she has emanated from the lotus feet of the Lord, so she guides sincere seekers towards their eternal father, as a mother. this is so true in case of maharaj who first heard the holy name of te Lord from the Ganga. Really so many glories of mother Ganges i read from a genuine devotee , maharaja’s description takes us very close to dear mother Ganges…. Thanks for sharing this due to which we are able to get some glimpse into the glories of Mother Ganga! Thank you Radhanath Swami! Mother Ganga is a great devotee of the Lord and she teaches her children how to love God. thank u maharaj for sharing this amazing experience. Such lessons help us understand that we can learn so many valuable lessons from Nature if we are willing to do so. Lord is so merciful that He has made all arrangements for us to think of Him and be grateful to Him and His creation. Thank you Maharaj for sharing such valuable lessons. Today I briefly narrated the story of Radhanath Mharaj’s journey to India to my brother. I told him how desperate he was to visit India and that the immigration lady officer refused him mercylessly. After her duty got over the next officer was kind enough and let him in. This has inspired my brother to read the book “The Journey Home”. 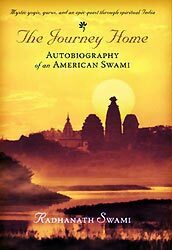 Today I briefly narrated the story of Radhanath Mharaj’s journey to India to my brother This has inspired my brother to read the book “The Journey Home”. Radhanath Swami’s experiences are worth reading and implementing in our life. This incident shows keenness and commitment of Radhanath Swami to patiently tread on the spiritual path and go HOME !! His feelings for river Ganges are also heart touching. How many of us so called Indians feel so much for Ganges that we consider her to be our mother ? its great to learn lessons by Ganga thru realized person like Radhanath swami. I really liked the part about observing with deatchment results in wisdom. Most times i am mixing up the trees and the forest. I read this beautiful meditation once again and felt rejuvenated. Thank you for sharing it. Radhanath Swami’s words on how her steady current inspired patience and steadfastness in him are really heart touching. Radhanath Swami is so full of patience and steadfastness. I have passed the Ganga so many times in my life and not once did i even stop to ponder over. India is a land of temples, holy men and holy rivers. 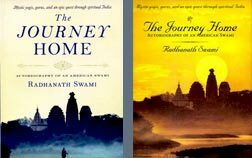 This is so nicely explained in the book – The Journey Home by Radhanath Swami. Please visit the official website http://www.thejourneyhomebook.com for more information. The best post on this website so far….. The lessons Radhanath Swami has learnt and asked us to learn are not any other lessons. They should be inculcated in our lives upto such extent that our heart gets purified day by day, just like mother Ganges cleanses the waste. Thank you Maharaj for making us realize that there is God who always guides,protects and loves us beyond our conceptions. Readers…. its awesome…..dont miss the opportunity to transform ourselves!!!!! This lesson by Radhanath Swami is helpful to the society.He has showed this from different point of view for the human society .General people can be inspired from this easily.